There is so much to be found out there for bouncing back from a pregnancy when it regards postpartum recovery, yet hardly anything for those who need it from a miscarriage. Instead we are made to feel that we can only tell a few people because it will be too hard to bear having everyone know there is no baby anymore if something happens. When in fact, we may need as much support as possible from others who know our pain or are close to us. We are not very informed of what to expect when the unexpected occurs. This seems backwards because miscarriage is one of the most common and natural occurrences that a woman may endure, so shouldn’t we be more prepared? I say ‘we’ because I have been pregnant and then lost the baby. It honestly never even crossed my mind that it could happen to me. The second I realized it was happening I was in a panic, because I had no idea what to do. A first-time pregnant woman should never, ever feel that way. When I started this blog it was to share my recipes, workouts and tips for self improvement. I never intended to get too personal, as I wasn’t going for a full on lifestyle blog. Once I experienced a miscarriage it changed my direction and overall approach. All I want now is to help other women learn to be happy in their own skin again. To accomplish self love you have to get deep and honest with yourself, or nothing will change. I am now driven not only to help other women re-discover themselves, but to help previously pregnant women bounce back from the turmoil of miscarriage. Your body starts to go through something it has never experienced before, and it takes time to understand it. It takes even more time to understand what is happening with yourself when that is taken away and your body goes in to shock. On top of that your hormones start going all over the place and then you are pitched in to an emotional war. More women need to hear that it is 100% OKAY to talk about it, to experience a vast range of up and downs, to not understand your own body, to grieve differently from your partner and to be scared to try again. A lot of women either feel they need to keep it to themselves when they miscarry, or can not bear to open up to anyone about it. One is understandable, the other needs to change. For something that happens so often it should not be such a hushed topic. People are uncomfortable with discomfort, yet we spill out way too much nonsense from our day to day lives to the public that just doesn’t matter. I hope that by sharing my story I can help other women, other couples, to lighten the load a bit. Whether you are finding this post because you are currently going through what I have, know someone who is, or experienced it in your past…. no one is alone in this. You should not feel isolated as a woman or as a couple because it happens to so, so many. Let me just say that once I opened up I had relatives on both my side and my husband’s side come to us about their story… and we never even knew. Close friends did the same. This is what fueled me to bring it to the blog. If you want to watch my live video you can do so here on Facebook. I mentioned earlier that when it happened I was in shock of what to do next. I only knew of two people who had miscarried, even though tons of our friends had just had babies. Most of the people we know are on their second or third child already to be honest, yet I had no idea if any of them had ever had an unsuccessful pregnancy. My own mother had (before me actually) but it was late at night when I spotted and I didn’t want to worry her. It wasn’t enough blood to go to the hospital, just enough to know there shouldn’t be any and that we needed to make an appointment first thing in the morning. How are you to sleep that night though? You try to stay off Google and calm each other down but you assume the worst. So we called a sibling, although her miscarriages were over 10 years ago. Just like all things dealing with pregnancy, hers were entirely different of course. It helped to have someone to talk to, but the situations were not really the same so in that moment there was not much we could do for comfort. There were too many unknowns. We sat there that night holding each other and wondering what was to come. The next morning we had the longest appointment of our lives. The ultrasound was uncomfortably silent, as the prior visit we heard a strong heartbeat together. We were dreading the words when we waited for a nurse to come back in to the room and tell us what we had already figured out. The baby was gone. It had been that way for almost two weeks apparently. Our healthy little one had ceased to exist just days after my last appointment, and I was only one week away from second trimester…. from that ‘safe’ point so they say. It really is like in the movies where time seems to freeze and sounds become muted. You just sort of float in dismay. Or sink I should say. That’s when the options came. I could wait for my body to go through the process, take a pill to force labor or have an operation to remove everything from inside me related to the pregnancy. Obviously I didn’t want to wait because my body had barely bled and clearly wasn’t doing what it was supposed to when the baby had passed. Plus, who knows how long that may take or when it may happen? The thought of carrying a baby that was no longer really there just tore at us. There was no way we could handle that for an unknown length of time, not to mention the fear of it suddenly occurring in full. It made me feel like a ticking bomb. The surgery seemed so invasive, and to be honest the doctors did not give me enough detail about it. My mom didn’t really remember much about hers, plus it had been so many years ago and things were different now. There is money involved with that too that can create other stress when you may not have good insurance. It is extremely hard to make a decision this heavy on a whim, and more soon to be parents should be prepared for it. I chose to take the pill. I couldn’t bear the thought of my husband waiting for me to come out of a surgery when we were both so upset. At least this way we could go through it together. I was lucky enough to get off work so we picked the pills up from the pharmacy and went home. I have read horror stories of moms having to do this on their own in-between a few hours break while taking care of their other children. No wonder women are so strong. I took the pills and waited for something to happen. I say ‘something’ because as we left the office they simply asked if I had any pads or if I needed some. No one really talked me through what exactly I was to go through once things were triggered. Just that I should pass everything and will need to come back in two weeks to double check. When I didn’t experience any cramps or additional bleeding I called and was told I could take a second dose. Within one hour of that all hell broke lose. I don’t really know a good way to describe this but I wanted to be brutally honest with this post. 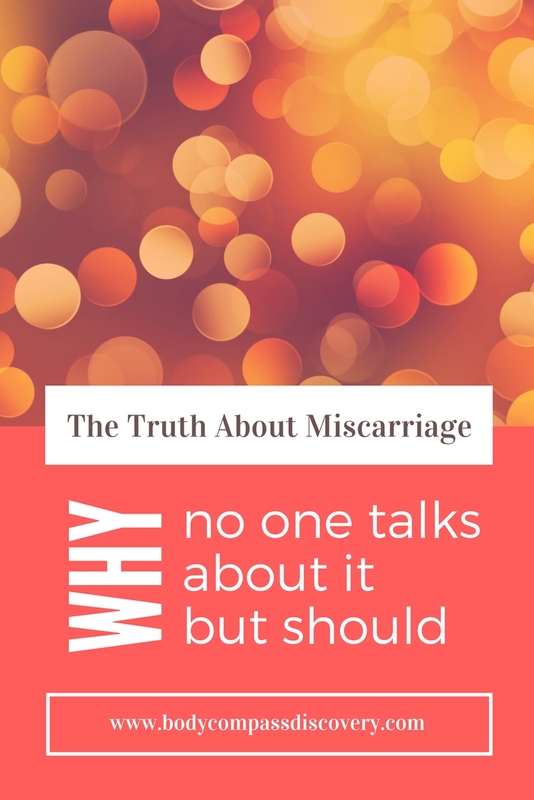 The reason I am writing about my miscarriage is because I desperately searched for some information to relate to and it was too difficult to find when I needed it most. Sometimes people don’t want the truth but when there is no turning back and you are completely in the dark it’s the most frightening feeling in the world. The cramps intensified a bit but it really did come out of no where. I stood up from the couch and just felt the gush. I bolted for the bathroom because it was the only thing I could think to do. My husband was close by, in and out of there unsure what to do but wanting to give me support, but I was on the toilet for about an hour. I thought I was losing too much blood because it was like a constant onslaught. Ladies, just remember that your man wants to take care of you. He doesn’t want to see you in pain or upset. My husband said that was the most desperate and helpless he has ever felt. We didn’t know how much blood was too much, so we just went by whether I felt faint or not. Once it slowed I assumed it was over. During that hour in hell I had passed clumps of who knows what so hopefully that was the end. I thought this would be the right choice because it seemed the closest to a natural occurrence as possible and we could do it together. We both still have nightmares about it. Two weeks later after going through what seemed like a long but mild period I went back to my doctor. Another ultrasound was done, another awkward silent wait before I received more bad news. I did feel like I wasn’t having as heavy of a period as I should, but then again what was supposed to be normal? No one could really tell me. Turns out they were surprised to hear that I experienced what seemed like a full miscarriage since in reality I hadn’t passed quite everything. It was just a very small amount left, but enough that my body was holding on to the pregnancy hormones. I was clogged inside. Same choices again, so we made the same decision. That may seem strange after what we went through, but I figured there was no way it would be like last time if it was just a small bit of tissue. They did confirm the fetal sac was no longer there. That, by the way, is another weird feeling you are tormented with. I just flushed our baby at some point during all of that. Was I supposed to save and bury it? We were trying not to look. There is so much that you overthink with a miscarriage. I avoided the surgery again because it seemed ridiculous for just some remnants of tissue. I was absolutely not going to wait on my body considering I had been doing so for weeks already, so off to the pharmacy we went again. This time we felt pressure because it was two days until Thanksgiving and we just needed to be around some love. We were lucky to have both of our mothers, my sister-in-laws and my best friend come be with us during the most difficult part, but it would still be helpful to get a distraction away from our home. We held off on going out of town by a day thinking this would be done with quickly. Not the case. I took the pills and nothing happened. I called and literally begged for another dose, which they told me I did not need if it was just a small bit left. We hoped all night that it would begin and woke up with no change. Finally they said I could try again and unfortunately the outcome was still nonexistent after I took a 4th round of pills. We went out of town anyway and expected it to finish out over the holiday at some random time. That never happened. I continued to wait until my next appointment, hardly bleeding the entire time. Let me just say that this was brutal for us because it completely dragged out the healing process. You can’t move on when you have an incomplete miscarriage. What happened next was terrible for us, and set us back so much. It was everything I dreaded. Right before the appointment date (now we are nearing another holiday) while at my parent’s Christmas party I passed a rather sizable clot and bled more than I had in weeks. I tried to ignore it since I didn’t want to ruin the mood of the evening. A few days later the same thing happened at work. This was surprising as I had thought maybe that first time was all that was left. I started to get worried but figured I was almost done for the day and could tell my husband once I got home. It never got to that point because right as the work day ended I started to experience the full rush of blood again and more clots. I was lucky to have a good relationship with my coworkers and managers or this would have been undeniably awkward. Regardless, I was terrified and had to call my husband. Being almost an hour away from home did not help, but once together we tried to assess the situation. The doctor on call said that they could not tell me what to do, but if it was too much blood I would need to go to the ER. It was like going through it all over again, except this time without knowing why. There was no reason to bleed that much. After a few hours it finally slowed down and of course the next day we went in to see my gyno first thing. This time I had no choice- I was at too much of a risk and was forced to undergo emergency surgery that day. All women have a different miscarriage story, but it is in the way we can relate to the side effects that we are united. A lot of women want to know what they should do when faced with a choice after losing a baby. There is no right answer. You have to make the best decision for you and your partner at that time. I felt compelled to share because I experienced all of it- my body trying to do it naturally, taking the pills and having it work, taking the pills and nothing happening, my body reacting suddenly in an uncommon way and then the surgery. Of course we hope we never have to face this again, but I think I would chose surgery if so. I say this because it’s over when it’s over. This process went on for almost two whole months by avoiding it (again, not always the case for most women). Having it last that long really damaged us mentally. We felt we couldn’t move on from it because we literally couldn’t until my body stopped thinking it was pregnant and also because it was constantly on our minds wondering when it was going to really be finished. It also really affected my body and I noticed the recovery post surgery was much quicker ironically. To me the biggest struggle has been the aftermath. Almost everyone I talked to told me of their similar loss but how they tried again and had a successful pregnancy. Some people are too scared to try again. Sometimes it is just one of you in the partnership that is not ready to face the possibility of going through that trauma again. Sometimes your body takes a while to recover. It is one of those hopeful things people tell you because when you are in that position you don’t see that light ahead. I was ready the second I received the go ahead from the doctor but what you learn when you go through this is that it isn’t just about you and your body- you have a partner who watched you go through something utterly terrible that they couldn’t control. That first month of ovulation was the hardest for me because I felt like I was wasting my body. I am sure we are not the only couple who struggled in this way, but once again it was one of those aspects that no one discusses. You need to communicate and respect what the other is going through. For both of us it was the shock of the little life no longer there and the violent end, but then we both went through our own torment. His was wanting to be more prepared next time and needing to wait until he was ready again to face the possibility of losing another one and watching me in pain. Mine was coping with the passing time because whether or not you are ready to be a mother once you know you have a life inside of you it completely changes everything. I also had the challenge of trying to understand my body better. I can’t tell you how many times I second guessed every single thing I did. In reality I was Googling if I could eat something at a restaurant before I ordered it. I bought a FitBit to monitor my heart rate so that I wouldn’t overdo my workouts. From the beginning I was constantly researching the best things to do for my changing body. After I received the news I requested testing for my hCG levels and to make sure I wasn’t anemic. I was fine. In other words, there was no reason. Instead of blaming yourself you have to understand that you more than likely did not cause your miscarriage to happen. This was so very hard for me to come to terms with. I guess it is easier if you can find a mistake so you know what to do differently next time to ensure a better outcome. I am thankful my husband pulled me back from my darkest points of self blame and frustration with my body. When talking to my dad one day he said something that really changed my thought process. He said, “I know this isn’t what you are looking to hear right now, but you wouldn’t be here if this hadn’t happened to us and I can’t imagine life without you.” In these moments where life throws you off course it sometimes takes someone else to help you see the good. PLEASE REMEMBER TO TAKE CARE OF YOURSELF. You have no idea what is going on inside of you. I would get angry at the fact that I was continuing to put on weight after I lost the baby. Since I didn’t have a complete miscarriage for over a month my body never recognized the baby was gone and continued to produce hormones, thus I continued to add on the pounds to prepare my womb. 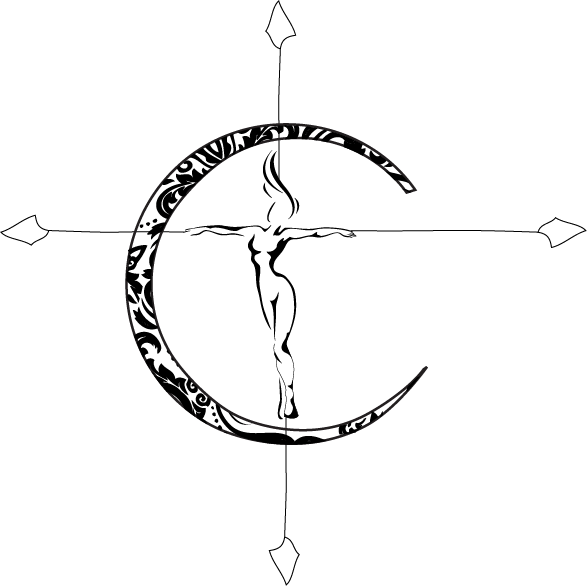 I could not fathom why this was happening and part of me still felt betrayed by my own body. It took weeks for me to be thankful for how I was recovering. I had cruelly taken pill after pill to force my body to do something against it’s will, yet I was mad I was still bleeding (for over 45 days) and looking pregnant. I really can’t imagine how hard that must have been on me internally. Technically yes, I could have started again after the end of the year, but I do think it was necessary to let my body heal more since my miscarriage was so long. Some women have issues naturally getting back to their cycle or ovulating again. Thankfully this was not the case for me. My husband said he never felt closer to me as he did when we went through this. He saw how strong of a woman I am. Our bodies have some mind blowing capabilities. We are meant to handle this. Did you know that 25% of women experience pregnancy loss in the first trimester? I didn’t. That means 1 out of 4 women who start to feel their body changing and begin to grow a new life have that suddenly taken from them. That doesn’t even count the instances that occur later on in second or third trimester. This just proves that pregnancy is a risk and a gift, and birth is absolutely a miracle. We are almost 6 months from my miscarriage and really just in the past 2 months have begun feeling back to normal. It takes a toll on you to keep your partner from shutting down, to handle your own emotions and to overcome the fear together. This was the first time in the past 5 years that I had trouble getting back in to fitness. I lacked motivation and was scared of my own body sometimes because I was so hyper aware of anything I felt. Yoga hurt at the beginning. I was off and on for the first few months which I really didn’t expect from myself. Lately I have been more consistent and finally back on a routine. It helped me gain confidence back and some self love that I felt I lost along the way. I will do another post focusing on my personal steps to recovery after miscarriage that other women can try to follow. This will include eating habits, exercise, positive mindset and personal care. It took months to write this, and it wasn’t easy. I knew I wanted to put what happened out there to show why it should be a more common topic. Please share this post so others can feel comfortable opening up. Love, understanding and positivity to those reading this…. comments are welcome and encouraged! It takes courage and strength to write about something so close to home. To be vulnerable and open about your family’s pain. Thank you for sharing your sacred story. I know many women will be helped by it. Sorry to hear what you had to endure, it is heartbreaking but thank you for sharing as I’m sure this will help many women who have gone through it not feel so alone. It’s always healing to speak about these painful times no matter how hard, it helps with the recovery process. Yes the depression weighs heavier than people realize after miscarriage- they just assume you are trying again and everything will go fine. It takes true strength to overcome. Sorry to hear you know this too, but glad to know you overcame it! I am so sorry for your loss. 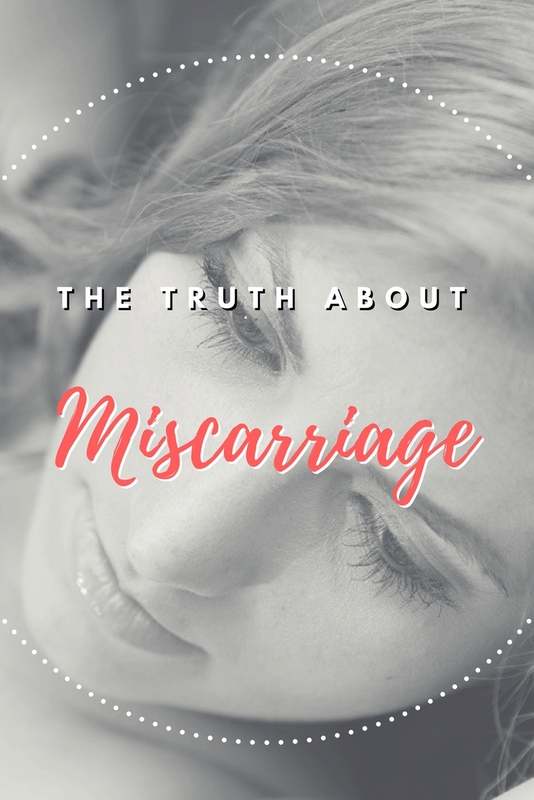 I miscarried as well… 2 days before my wedding, and I was at work… I was having terrible sweats and cramps so bad I thought I had food poisoning… I went to the bathroom and couldn’t stop crying like a crazy person. I’m sure the entire building heard me… I was 11 weeks, so everyone already knew… and I blamed myself thinking I did something wrong. Your story is extremely brave, and I know all I wanted when I miscarried was for someone to share their story with me and tell me how they got through it… thank you for sharing. That must have been so devastating…. sending you a virtual hug. I definitely longed for someone to relate to as well, which is why I decided to speak up. Sending you comforting thoughts and positive hopes for your future, Julie! Every woman who has a story like this is braver than they give themselves credit for.